Hockey is one of those sports that you don’t truly realize how difficult it is until you attempt to give it a go. And if you ever find yourself with enough guts to put on the helmet, lace up the skates, grab a stick, and get out on the ice, you’ll soon understand that you are ill-prepared for the task at hand. Good hockey players are big, strong, fast, super coordinated, and practically fearless. They also know that to be truly great, the team — as a whole — comes first. By capturing the 2015 Stanley Cup, the Chicago Blackhawks once again reminded the whole NHL world the importance of teamwork. You don’t need to be the best team in the regular season to wind up with Lord Stanley’s Cup. You just have to come together during the postseason and play for one another. For the third time in six years, the Blackhawks did just that. If we were looking for the modern-day representation of a dynasty, we’d be smart to turn our attention toward the windy city. But an interesting thing happened on the way to hockey’s greatest prize. One of the ultimate team games managed to find itself with such a dominant individual, that his play alone could be enough to take his team to the promised land. That’s simply how incredible Montreal Canadiens goaltender Carey Price was this past 2014-15 season. 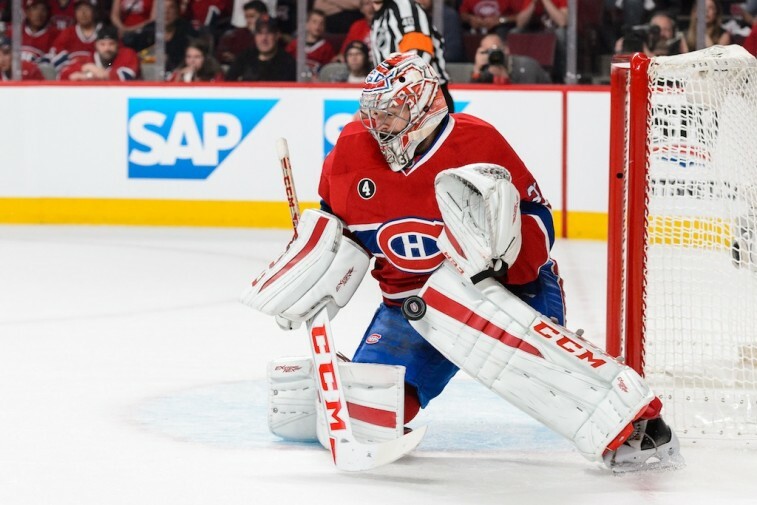 While the Canadiens didn’t make it to the Stanley Cup Finals, there was no doubt that with Price between the pipes, this club had a chance to win every time they took the ice. And there is nothing more valuable than that. It may seem crazy to suggest a goaltender is the best player in the NHL. However, if he who holds the most silverware is king, then it might be time to get Price his crown. 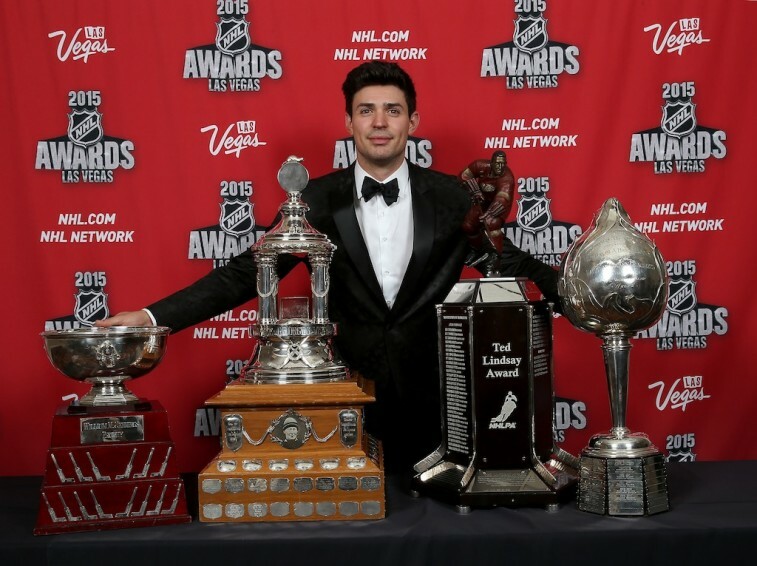 If Wednesday evening’s annual NHL Awards Show told us anything, it’s that Carey Price truly shined this season. For his unbelievable play, the netminder came away with the Hart Trophy, the Vezina Trophy, and the Ted Lindsay Award. That’s a clean sweep if we’ve ever seen one. In fact, it doesn’t happen often that a goaltender wins both the Hart (MVP award) and Vezina (top netminder) Trophies in the same season. According to ESPN Stats & Information, this feat had only been accomplished by three other individuals. But considering what Price did this season, he was more than deserving. He had an NHL-best 44 wins, 1.96 goals-against average, and .933 save percentage. The last time a goaltender finished the season atop all three of those categories was in 1991 (Ed Belfour with the Chicago Blackhawks). After cleaning up on the night, Price made sure to thank the Montreal Canadiens for believing in him. Of course, one of the most important thing in professional sports is gaining the respect of your peers. Although not everyone plays on the same team, they understand the environment, demands of the sport, and what it takes to be great. And on Wednesday night, it was the players throughout the league who made sure that Price knew how they felt about him. Of all the awards Price took home on Wednesday, he acknowledged that the Lindsay Award was the one that stood out the most because it was voted on by his peers. It’s not every day that you look at the NHL and decide that the best player is the one wearing the most pads. 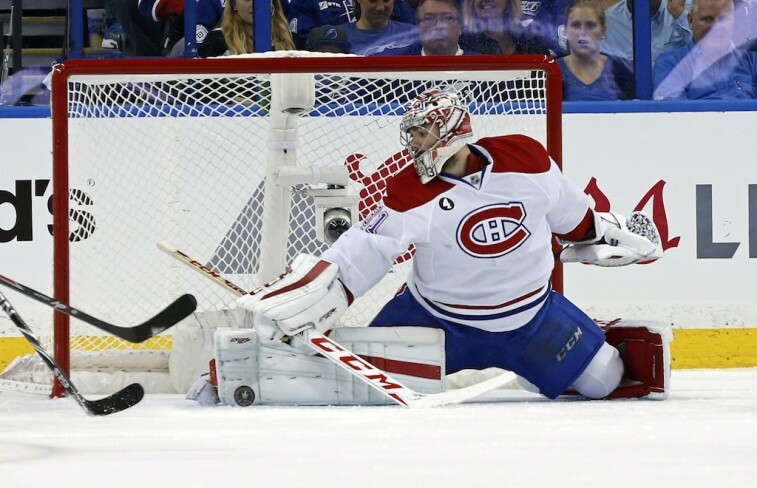 Then again, it’s not every day that goaltenders have the kind of season that Carey Price had. Hockey fans saw it. The league recognized it. The players confirmed it. That’s good enough for us. All statistics are courtesy of Hockey-Reference.com, ESPN.go.com, and ESPN Stats & Information.